Hello friends and readers! It’s been too long since my last post so let’s get right to it: you need more vegetables in your alcohol. That being said, please read on to learn how to drink with cucumbers! Did you know cucumbers come in yellow circles? They do! 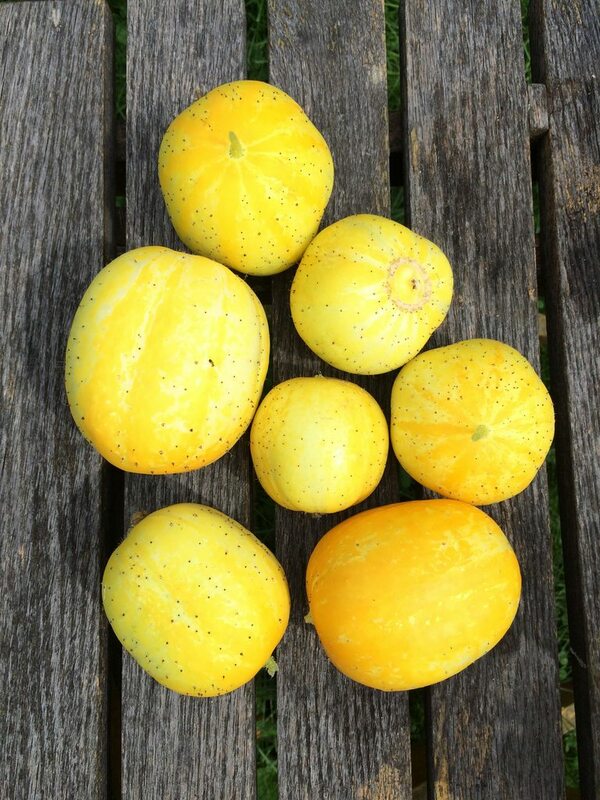 These are Lemon Cucumbers. The lemon in their name refers to their color and size, not flavor. This year was not good for tomatoes, but it was very good for cucumbers. I love to grow cucumbers because they offer a lot of bang for the buck. One plant can yield dozens of pounds of pickle fodder and keep going all summer long! But wait! Don’t brine that greeny thing! Don’t put it in a salad either! 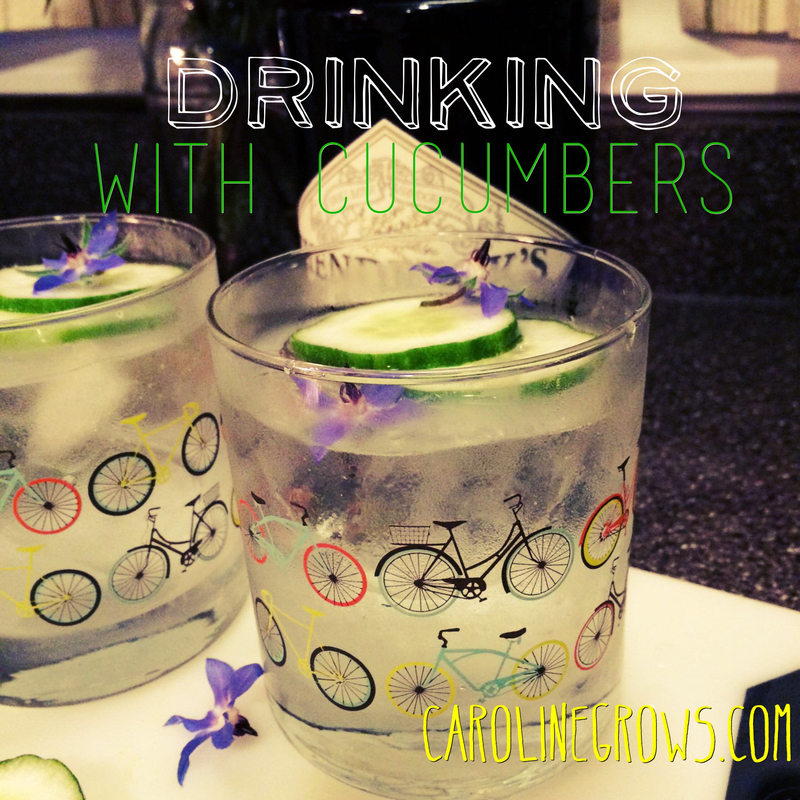 Cucumbers found a higher calling, and that call is GIN! Cucumbers- Any size or shape will do. We used green “normys” at Katie’s house, but I use the yellow lemon cukes at my residence. Grow your own! Borage- This is a cucumber flavored blue star shaped flower. It adds class and whimsy to a drink. Any other blue cucumber flavored star shaped flower will do, we’re not picky. Grow your own! Tonic- For best flavor get the normal stuff. The diet tonic leaves a sad disappointing flavor in your mouth. 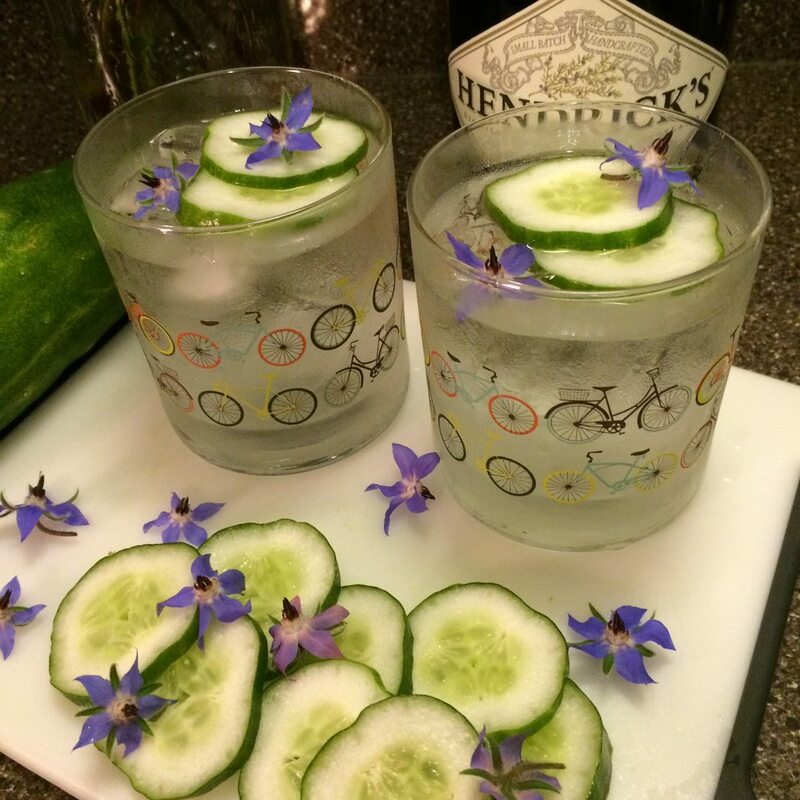 Gin- Hendrick’s Gin has essence of cucumber and rose hips which makes a fantastic cucumber G&T. Get your own! Katie’s green cucumber by my yellow cucumber for comparison. Dahlias and zinnias in the background because they were gorgeous! Step 1. Slice up a delicious home grown cucumber into thin slices. Step 2. Add 2-3 slices of cucumber to your cup of ice. You can add more if you really need a snack with your drink. Step 3. Pour 1-2 shots (1.5 to 3oz) of gin over the cukes and ice followed by twice as much tonic. A tasty ratio is 1 part gin to 2 parts tonic, but this will depend on your taste. Katie prefers 1 part gin to 4 parts tonic, but that is because Katie is bad at drinking compared to me. Step 4. Stir to mix, or use a fancy shaker if you gott’er, and garnish with borage flowers. Voilà! You’ve made a beautiful G&T right from your own garden and the liquor store! Better take some pictures to make your instagram and Facebook friends jealous. Then enjoy that drink before the ice melts! Nice touches: Cucumbers come in greens and yellows while borage comes in blues and pinks. Pick colors that fit your party’s theme, or use all colors at once if you can’t decide! Who doesn’t like a psychedelic colored libation after a hard day at the laboratory? A rainbow cocktail for those customer service folks will have them forgetting about their retail blues! Finally a drink hospice workers would love to nurse! For the public service portion of the night — As always, don’t drink if you’re pregnant or driving. Why haven’t I been blogging? Well, a certain bearded hops grower presented me with kitten that had an engagement ring on his collar. How can you say no to any question that involves giving you a kitten? We named the kitten Riker after my favorite star trek commander, and he is a holy terror. He destroys my house plants, stomps on my face, and irritates my big cat, Astro. I love him anyway. He is my naughty kitty boy and he was given to me by my favorite human boy. We are one happy, hairy family. I plan on growing a ton of flowers for my wedding, I’m sure I’ll write about it later. CONGRATS TO MY WEB DEVELOPER CORY! Cory and Heather announced they they are expecting a new development in their lives around February 2016!!! A tiny person to wrap their life around! I’m so excited! I fully intend on crocheting you booties, so I hope you like poorly crafted yarn shoes! Awesome pics of Heather and Cory stolen from their Facebook page and were taken by Shelby Anne Photography. Cory and Heather have been practicing being good at babies by dressing their cats and holding their new beautiful nephew! Good luck team and CONGRATS!